The studio has been rocking here lately. July is a busy month for the studio. It’s full tilt busy season. I’m gearing up for Socksummit and am taking short trips to WI each Saturday for the Schoolhouse Press Knit Camps. I have been attending these as a vendor for many years now and have been a camper for the last few years too. Spending the weekend with a room full of intelligent inspirational knitters and Amy Detjen , Joyce Willams, and Meg Swansen? Yes, please. He’s 6’5″ and I remind myself with each double check at his measurements that I love him very much. Very much. This pattern has proved problematic as it is in Norwegian. While my mom studied in Oslo and has rudimentary Norwegian skills left from that time in the (cough) 60’s, what’s left is largely conversational. With zero knitting vocabulary I turned to the internet. There are a wealth of resources available for translation but the end result is a cobbled together brain twister of silly nonsense. So I took my measurements and just knit by the seat of my pants.With reckless abandon I knew I could figure it out. The charts are what matter most- and those are universal. I knit because I like to knit. Ripping out and learning from my mistakes is the just the opportunity to knit more. Do overs are part of the creative process. It’s putting your knowledge to action, practicing new skills immediately so they stick. It’s like putting another quarter in the arcade game and starting again. So here I go . . . This entry was posted in Uncategorized and tagged knitting, space invaders on July 25, 2011 by Jennie. either are still in print. 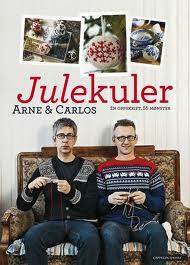 Nothing beats knowing a knitter who knows Norwegian and who can translate what is meant in knitting terminology. Here is the link for the pattern http://www.arne-carlos.com/downloads/ArneCarlosSpaceInvaders.pdf. On ravelry, it’s listed as Cheese Attack. Garnstudio have a great free word list!